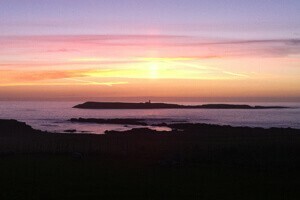 Malinbeg Hostel is situated in a peaceful & tranquil area of outstanding natural beauty. 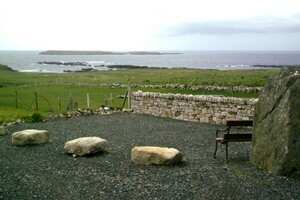 It has breathtaking views of the rugged coastline bordering the Atlantic Ocean and of Rathlin O’Byrne Island. The rugged landscapes & seascapes make the area popular with artists and photographers and also the perfect base for touring, hillwalking & cycling. 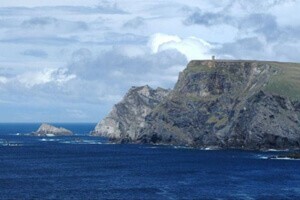 Malinbeg is a popular scuba diving, cliff climbing & fishing destination. The hostel is perfectly located for these activities being only 5 minutes walk from the Ougue fishing port, the popular Silver Strand beach & the surrounding cliffs. 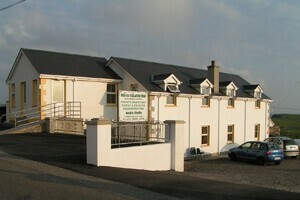 The hostel is also the ideal location for those wishing to climb Slieve League, explore the ‘One Man’s Pass’ and view the highest sea cliffs in Europe. 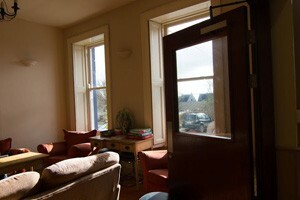 The hostel provides high quality budget accommodation. 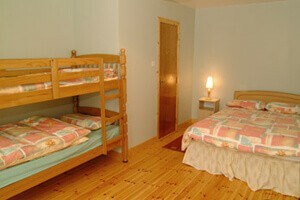 It is comprised of private, dorm, ensuite & family rooms, and can accommodate up to 26 quests. 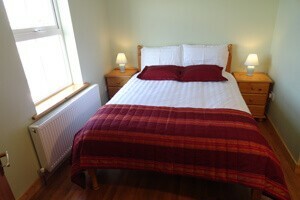 It has full self catering facilities, private parking and is adjacent to the local foodstore & post office. Travelling by car; from Dublin to Donegal, take either the N3 via Cavan or the N4 via Mullingar. From Donegal town follow signs for Killybegs and then Carrick. 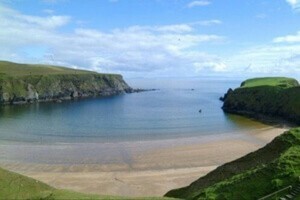 After Carrick follow signs for Glencolmkille, however, turn off to the left for Malinbeg before reaching Glencolmkille. Travelling by bus from Dublin, there is one main bus service available. Bus Éireann [PDF] takes you to Donegal Town, while connecting buses take you to Glencolmkille just 5 miles from Malinbeg. The nearest airport is Carraig Fhinne in the North West of County Donegal some fifty miles from Malinbeg. It is served by flights from Scotland and Dublin. Sligo airport, just a few miles outside County Donegal, is served by flights to and from Dublin. Eglinton airport (Derry airport) is served by services from Glasgow, Manchester and London (Stansted). The nearest international airports are based at Belfast, Knock and Dublin.